Michigan State University is home to more than 7,000 international students from all over the world. These students’ participation in the classroom and presence on campus contribute to a diverse and inclusive educational experience that benefits all Spartan students, helping to prepare them for an increasingly global society. The International Students Association and broader MSU community want to ensure that international students, regardless of where they’re from, have the financial support they need during times of crisis and emergency. The International Student Emergency Fund provides emergency assistance to international students in financial distress. Andrew and Barbara Roberts have made a challenge gift of $1,354.75, the cost of one upper division international student credit hour. The next $1,354.75 raised will be matched dollar for dollar. Andrew Roberts, Educational Programs Coordinator in the Office for International Students & Scholars, works each day to ensure that international students succeed at MSU. 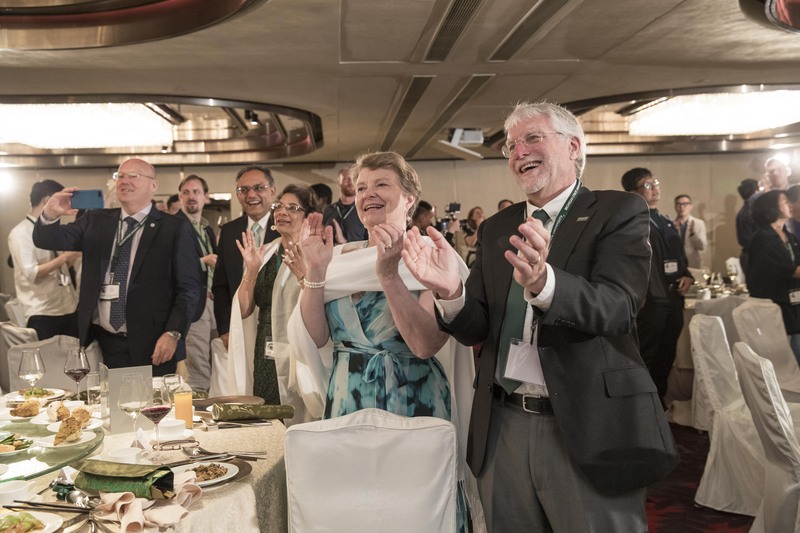 He and his wife Barbara Roberts, MSU’s Executive Director of the WorkLife Office, attended the MSU alumni reunion in Hong Kong in May to help tell the stories of international students facing financial distress. Times of crisis can happen to anyone at any time. The situations that cause students to apply for emergency assistance are broad-ranging—from the loss of housing to family health issues to unexpected academic costs—and can put their education at risk. The assistance is an important tool to help retain international students who contribute so much to the MSU community. The funds raised will be awarded at the discretion of the Office for International Students and Scholars to international students facing emergency situations and financial distress. Awards are made without expectation of repayment. The International Students Association is comprised of committed individuals who advocate for the rights and well-being of international students at Michigan State University and celebrate cultural diversity on campus. *Make check payable to Michigan State University and write “Appeal 17OOPCF1EMERISP” in the note section.